(The Root) — After courts twice cited the Voting Rights Act in rulings that blocked Texas voter-ID laws on the grounds that they were discriminatory, proponents of such efforts have recently begun executing a new strategy: requiring voters to submit written verification that they are alive before arriving at the polls. The strategy is part of a 2011 Texas state law that has not been struck down, which requires letters to be sent to tens of thousands of voters whose names appear to match the names of the deceased. Recipients of such letters must then reply confirming that they are alive, or else face having their names removed from voter rolls. 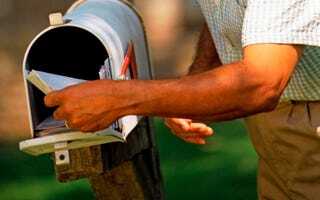 According to an independent analysis by the Houston Chronicle, the letters have targeted predominantly African-American areas. "Voters in traditionally African-American neighborhoods were disproportionately affected when Harris County officials notified 9,000 people their registrations could be canceled unless they proved they were not deceased," the paper reports. While Texas is not a competitive state in the presidential election (it has voted for Republican presidents for decades), this still has serious implications for local and state elections. Read the Houston Chronicle's full analysis here.